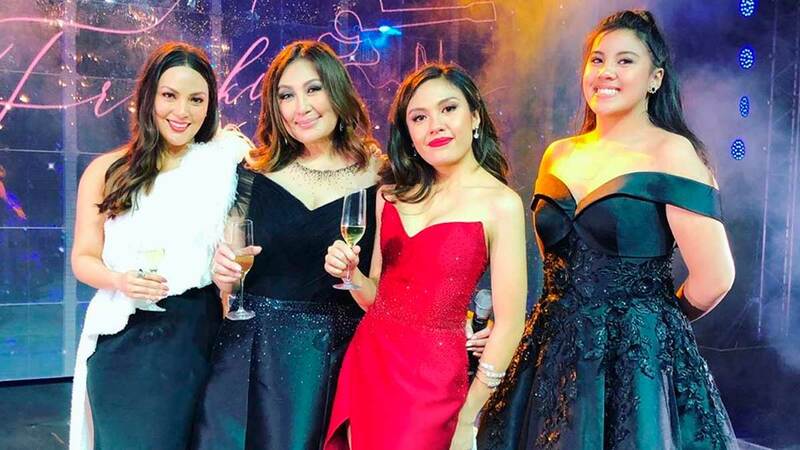 Only a handful of showbiz personalities were present at the 18th birthday celebration of Frankie Pangilinan, the daughter of Megastar Sharon Cuneta and Senator Francis Pangilinan. Frankie had an Old Hollywood-themed birthday party on Saturday night, December 15, at the Shangri-La at the Fort in Bonifacio Global City, Taguig. Her actual birthday was on Sunday, December 16. Frankie's siblings Miguel, Miel, and KC Concepcion were all present at the party. KC came with her beau Pierre Plassart, who arrived in Manila on Saturday morning to attend Frankie's birthday. FPJ's Ang Probinsyano star Rowell Santiago took a groufie with the couple and posted it on his Instagram account. Sharon's aunt Helen Gamboa came with her daughter Ciara Sotto. Helen's son Gian Sotto was also present at the party with his wife Joy Sotto and their five adorable children: Hugo, Edrigu, Sandro, Rossano, and Amari. Ogie Alcasid's daughter Leila was among Frankie's 18 Candles. Leila hung out with her fellow Kapamilya talents The Voice Kids Philippines Season 3 first runner-up Antonetthe Tismo and The Voice Teens Philippines Season 1 finalist Jeremy Glinoga. Musical director Louie Ocampo also dropped by. Kris Aquino couldn't make it to the party, but her sons Josh and Bimby showed up. 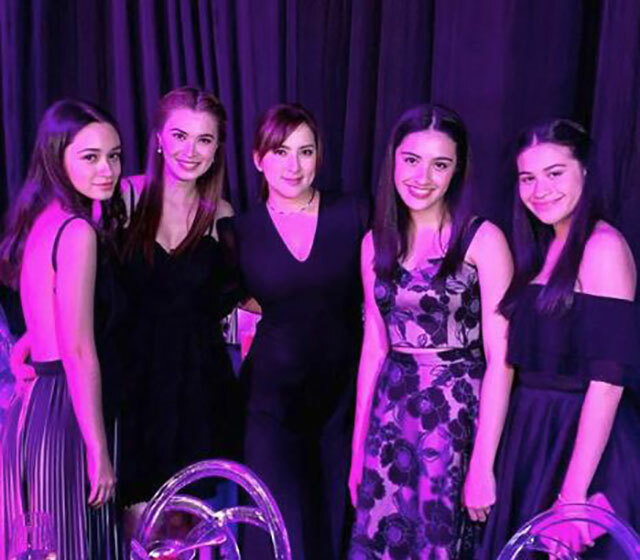 Ara Mina (middle) with Sunshine Cruz (second from L) and her daughters Angeline (L), Angelina (second from R), and Chesca (R).